The Cream Hill Agricultural School was founded by Samuel W. and Theodore Sedgwick Gold in 1845. The school was dedicated to the teaching of scientific agriculture. The curriculum was broad however, and students were taught a variety of subjects including geology, mathematics, biology, chemistry as well as teachings in the humanities and of course, proper deportment of young adults. The school admitted only boys, and the students lived at the school, staying in dormitory rooms on the second floor. The students shared meals with the Gold family. Attendance was not rigorous as students had to return to their homes from time to time for planting, harvesting and other chores. It was not uncommon for students to come and go more than once during the year. The Cream Hill Agricultural School remained open for only 24 years. Theodore closed the school in 1869 upon the death of his father. Is is thought that Samuel was the primary instructor, at least partially explaining Theodore's decision. 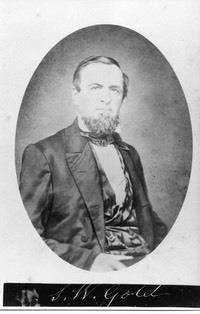 Theodore however was not finished with his interest in educating youth in the methods of agriculture. He was becoming more involved in state-wide agricultural affairs which gave him less time to devote to the Cream Hill School. 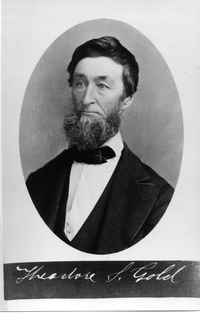 Theodore was in a position to eventually influence the Storrs brothers and because of the similarities between the Cream Hill School and the Storrs Agricultural School, evidence of his influence was clear. T.S. Gold was a Trustee and served on a subcommittee entrusted with the organization of the Storrs Agricultural School. The Storrs Agricultural School would eventually become the University of Connecticut. 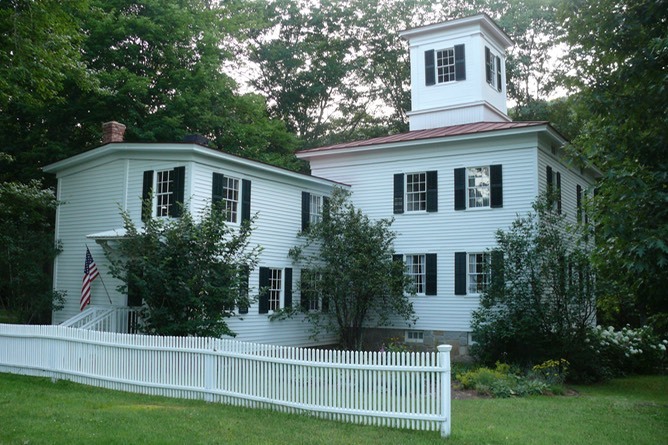 Today, on the grounds of the Connecticut Antique Machinery Association in Kent, plan to visit the Cream Hill Agricultural School. In the front classroom you can still see the varied collections of minerals, seashells, and other examples from nature used to expose students to the wider world around them. These collections are still in their original cases as they were when the school was active in the mid-1800's. In the back rooms, CAMA has used the space to display donated antiques of many kinds from our collection. One room houses a fine collection of early kitchen items. Many younger people would have difficulty in guessing the use of some of these items. The second floor of the school is made up of smaller rooms that originally served as dormitories. CAMA now uses some of these rooms to house a library consisting of books collected and donated by the Gold family as well as other donated volumes.